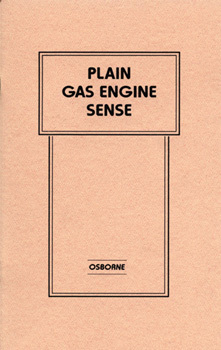 This 1908 reprint by E.L. Osborne was intended to introduce the beginner to the wide world of gas engines. It carefully avoids technical terms and is written in an easy-to-understand manner. It also includes numerous helpful illustrations and diagrams along the way. Topics covered are: cycle of a gas engine, fuels, speed regulation, engine troubles, regrinding valves, testing the condition of a gas engine, and many more. Filled with useful facts, this book makes an often difficult subject easy and will prove an enjoyable and informative read.